When the Inspire 1 launched in 2014, it was hailed as a drone that was at Hollywood level but more affordable. It was the first drone used for filmmaking that had an HD video transmission system, a 360-degree rotating gimbal and a 4K camera. With the DJI Inspire 2, users can expect a machine that’s the same but much improved. 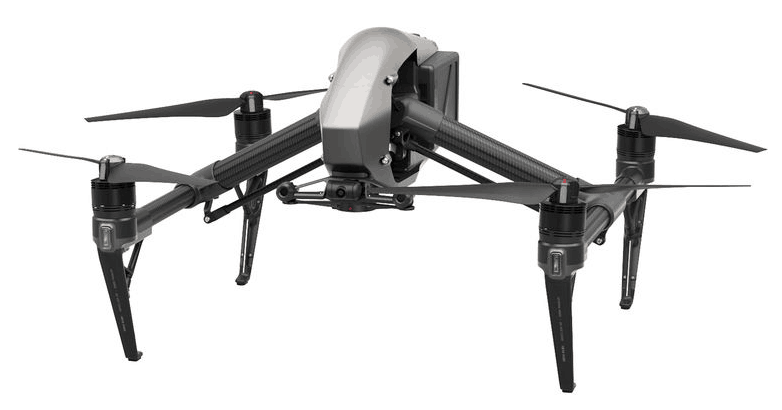 The Inspire 2 was designed to be stronger and better than the Inspire 1. A good start would be the body and with its magnesium aluminum shell, this latest model already has sturdy written all over it. The purpose for using the material was to increase the strength of the drone while reducing its weight. Battery life is another indicator if a model has indeed improved over its predecessor and in the case of the Inspire 2, it really has. The battery life has been bumped up from 18 minutes to 25 minutes. Even better, this drone can continue to fly in cold temperatures thanks to its self-heating dual-battery system. As a filmmaking drone, the cameras need to be of truly good quality. The Inspire 1 made good on that but this current model makes video taking even better. This is the first DJI drone equipped with two cameras. One is located on a three-axis gimbal and located underneath and is in charge of capturing images while the other is found in front which allows the user to see where they are going. With this kind of system, two people can operate the drone: one would steer the aircraft while the other would capture scenes. Just like the Inspire 1, the legs on this model also lift up so that it doesn’t block the view of the camera. The camera can also rotate at a 360-degree angle enabling the capture of images from different directions. The Inspire 2 is equipped with sensors that help it avoid any obstacles – a feature present in the Mavic Pro and Phantom 4. 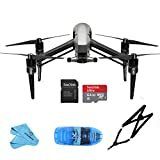 And just like those two drones, this model also has computer vision and automatic subject tracking that allows the camera to focus on a subject and keep it in frame even through the drone is headed in a different direction. CineCore 2.0, which is designed specifically for the Inspire 2, is an image processing system capable of capturing 5.2K video at a bitrate of 4.2Gbps. An onboard SSD has been added to handle all the data. 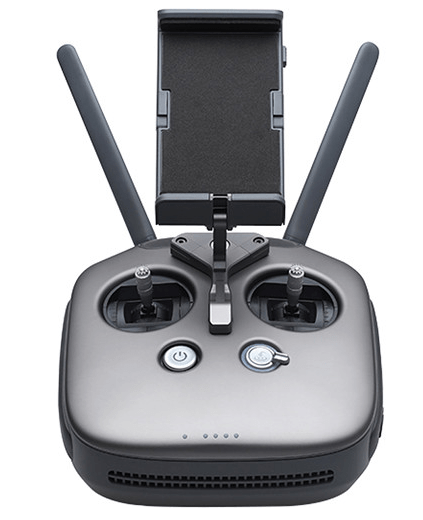 The cameras available for this drone are the Zenmuse X4S or X5S. Both cameras are capable of taking 20MP photos. What makes them different is that the X4S has a 1-inch Exmor R CMOS sensor, a fixed lens and can capture 4K video in H.264 and H.265 formats. The X5S, on the other hand, has an M4/3 sensor, interchangeable lens mount, and when combined with CineCore 2.0 can take H.264 and H.265 videos as well as Apple ProRes and CinemaDNG formats. It improves on the Inspire 1’s capabilities. The Inspire 2 is able to fly higher and faster. The body is much stronger and it has significantly longer battery life. It has two cameras. This kind of system allows two operators: a pilot and a director. But solo piloting is also possible thanks to the Inspire 2’s vision sensors. It is aimed at professional filmmakers. The price tag of the Inspire 2 is not aimed at the average drone consumer. Some of the specs are even catered towards professionals. The Inspire 2 adds to the list of DJI’s fantastic line of drones. While this particular model is geared specifically towards professional filmmakers, DJI has other drones to offer that more or less provide the same features but at a much lesser cost. Yes, it won’t be as superb as what the Inspire 2 has in store but if you’re on a budget and what a high-quality filmmaking drone, you won’t go wrong with models such as the Mavic Pro and the Phantom 4 Pro. That said, there’s other industries other than filmmaking that can benefit from having a drone with the capabilities of the Inspire 2. It remains to be seen whether they would be willing to spend that much when they could get something similar for less. 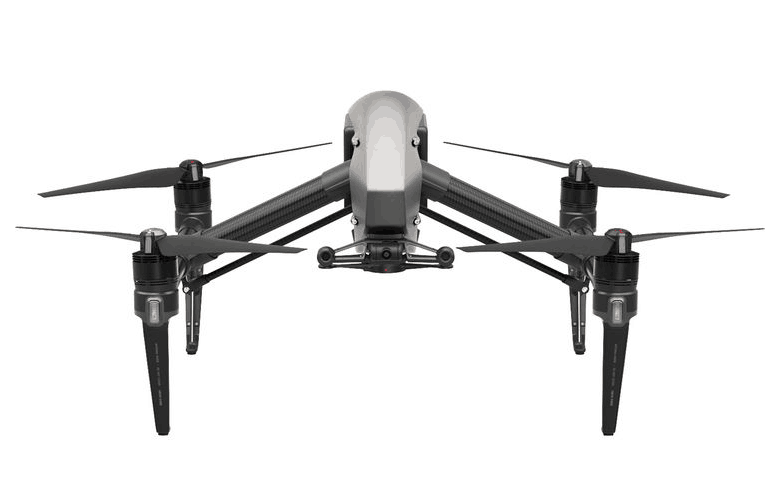 Overall, the Inspire 2 is as its name suggests, inspiring. 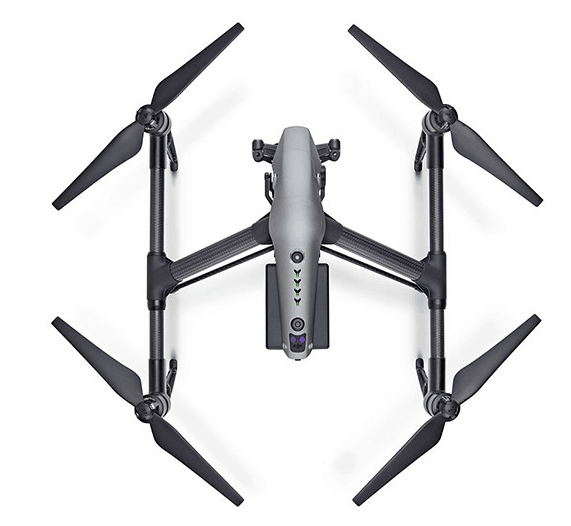 It is packed with features users want in a drone: longer battery life, powerful video-taking capabilities, collision detection, high reach and speed. Its price tag – $2,999 – might not tempt the average consumer but professionals might fancy what it has to offer.